Published by Cassell & Company, Ltd., 37-38 St. Andrew's Hill, London First Edition 1958. London 1958. First edition hard back binding in publisher's original powder blue cloth covers, silver lettering to the spine, blue end paper maps. 8vo. 9'' x 6''. Contains [xvi] 338 printed pages of text with colour and monochrome illustrations throughout. Very Good condition book, in Very Good condition dust wrapper with small tear to the spine, not price clipped 30/-. Dust wrapper supplied in archive acetate film protection, this protects and prolongs the life of the paper, it is not adhered to the book or to the dust wrapper. Member of the P.B.F.A. 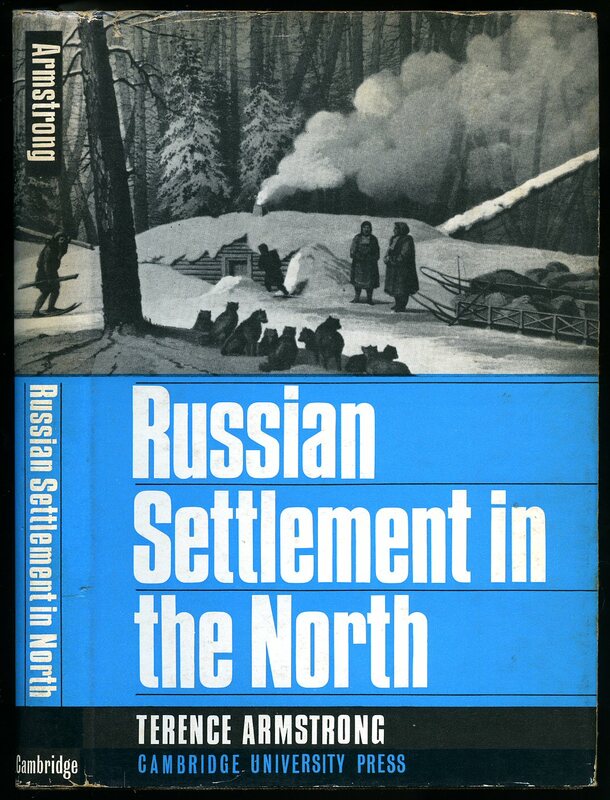 Published by Methuen & Co. Ltd., 36 Essex Street, Strand, London First edition 1975. 1975. First edition hard back binding in publisher's original cloth covers, lettering to spine. 8vo. Near Fine in Near Fine dust wrapper, not price clipped. Dust wrapper supplied in archival acetate film protection. Member of the P.B.F.A. 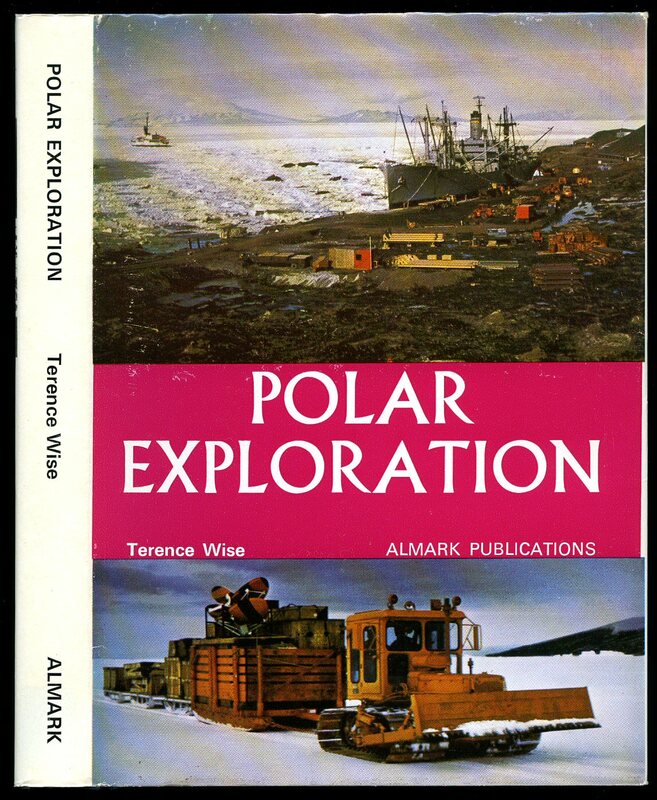 Published by Hodder and Stoughton Ltd., London Second Impression 1984. London 1984. Hard back binding in publisher's original mushroom cloth covers, gilt title and author lettering to the spine. Quarto. 10'' x 8''. ISBN 0340252774. Contains [xvi] 320 printed pages of text with colour and monochrome photographs throughout. Fine condition book, in Fine condition price clipped dust wrapper. 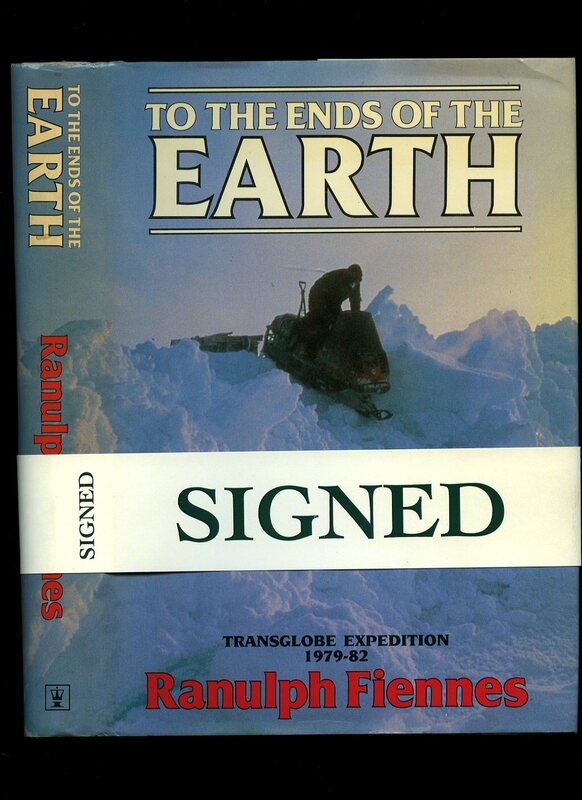 SIGNED by the author to the title page 'Ranulph Fiennes, 29th June 1987.' Member of the P.B.F.A. 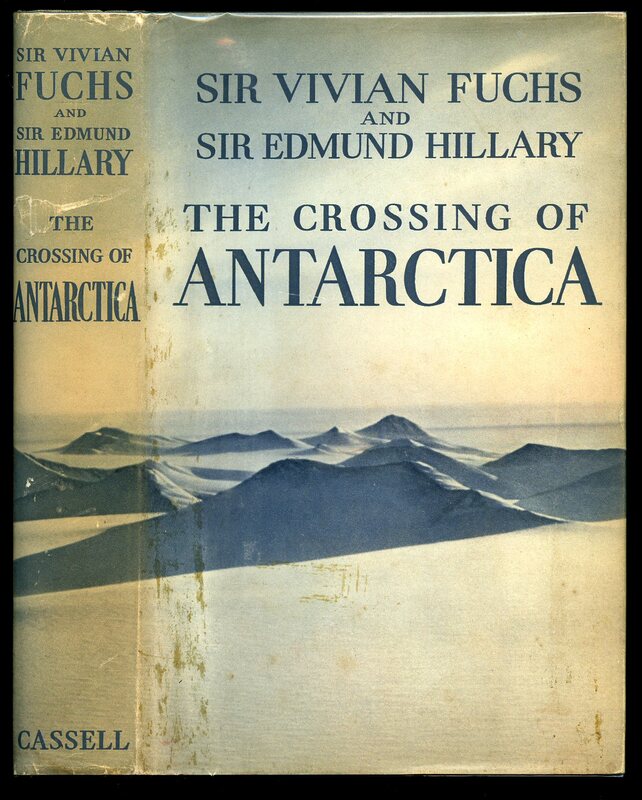 Published by Longmans, Green and Co. Ltd., 39 Paternoster Row, London First Edition 1938. London 1938. First edition hard back bound in publisher's original turquoise cloth covers, gilt title and author to the spine, end papers maps. 8vo 8¾'' x 6'' [xii] 308 printed pages of text with sixteen two-tone photographic illustrations on semi-glossy paper. Foxing to the end papers, free from any ownership markings, light abrading to corners and spine tips and in Very Good condition, no dust wrapper. Member of the P.B.F.A. 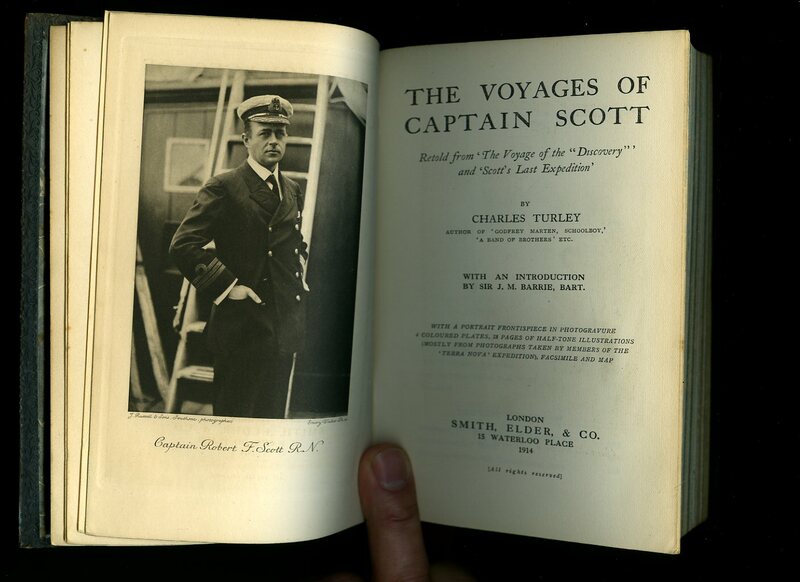 Published by John Murray, 50 Albemarle Street, London 1929 reprinted edition [First edition 1913]. London 1929. 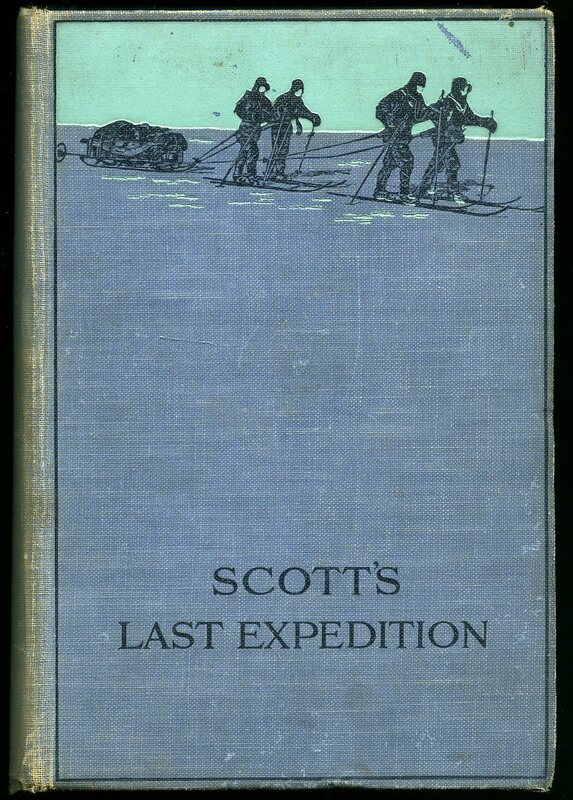 Hard back binding in publisher's original blue cloth covers, faded lettering to spine, four men on skis pulling a sledge to upper panel. 8vo 8'' x 5½'' [xxviii] 521,  printed pages of text. 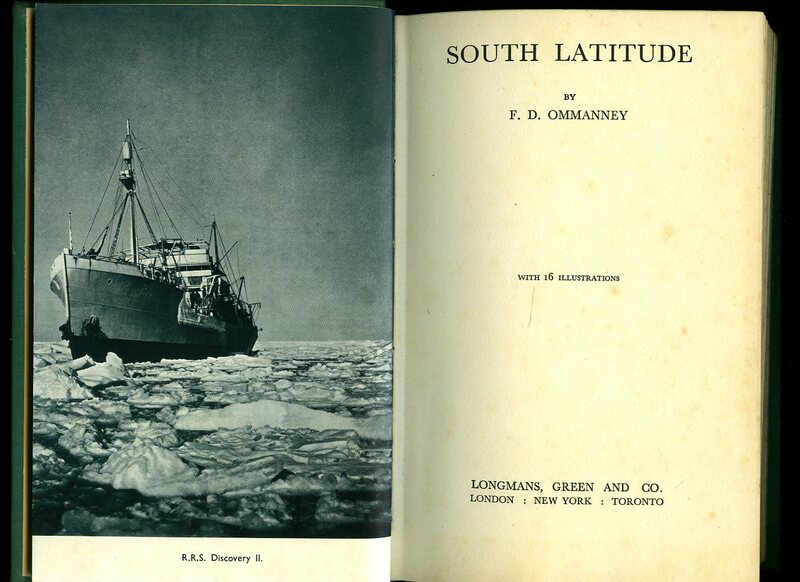 Maps to the end papers, 19 sepia photographic illustrations by Herbert G. Ponting. Spine faded, corners soft and in Very Good condition. Member of the P.B.F.A. Little, Brown and Company Limited, Boston, Toronto First edition 1974. 1974. First edition hard back binding in publisher's original dark green cloth covers, gilt lettering to spine. Quarto 10" x 7½" 256 pp. Colour and monochrome photographic illustrations. Near Fine in Very Good dust wrapper with shallow surface chips to top of upper panel, spine faded, not price clipped. Dust wrapper supplied in archival acetate film protection. Member of the P.B.F.A. Published by Smith, Elder, & Co. 15 Waterloo Place, London First Thus Edition 1914. 1914. 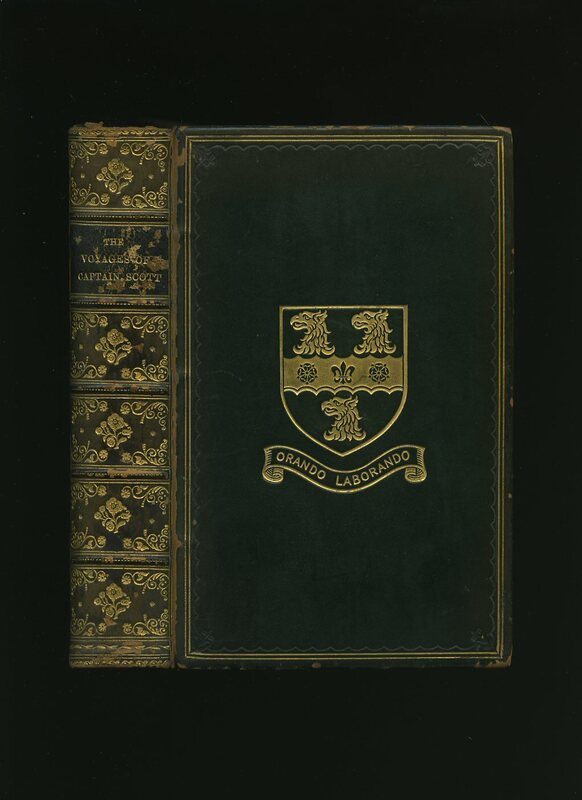 First edition in contemporary full dark green leather covers, five raised bands to the spine, elaborate gilt lettering to morocco title label and gilt tooling to the spine, gilt insignia to the front cover with motto 'Orando Laborando', gilt knurling to edges, silk headbands, marble page edges and end papers. 8vo 8'' x 5½''. Contains [viii] 440 printed pages of text. 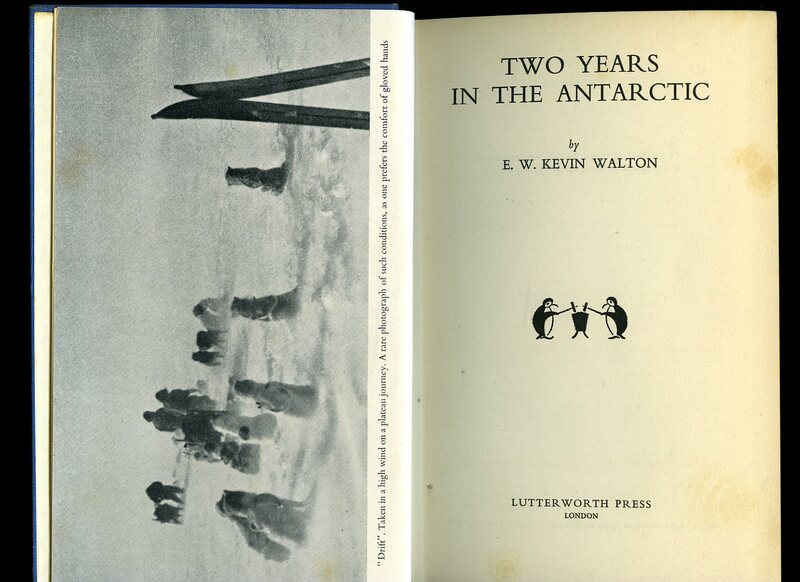 Photogravure portrait frontispiece, four tissue guarded colour plates, twenty-eight pages of monochrome illustrations [mostly from photographs taken by members of the 'Terra Nova' expedition], facsimile and fold-out track chart of the main Southern journey of the British Antarctic Expedition 1910-1913, 17½" x 17½", errata slip tipped-in. Light foxing to early end papers, pencil message, former bookplate to upper paste down, minor rubbing to corners and spine edges in Very Good clean and bright condition, binding tight. Member of the P.B.F.A. 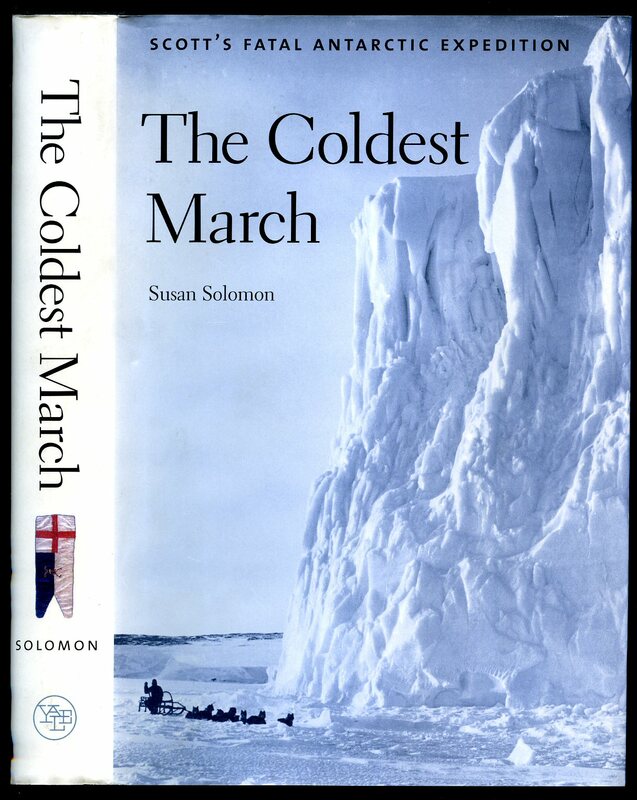 Published by Yale University Press, New Haven and London First Edition 2001. New Haven 2001. First edition hard back binding in publisher's original black cloth covers, silver lettering to the spine. 8vo. 9½'' x 6¼''. ISBN 0300089678. Contains xxii, 383 printed pages of text with monochrome illustrations and maps throughout. Without any ownership markings. Fine condition book, in Fine condition dust wrapper with insignificant crease mark to the foot of the spine, not price clipped. Dust wrapper supplied in archive acetate film protection, this protects and prolongs the life of the paper, it is not adhered to the book or to the dust wrapper. Member of the P.B.F.A. 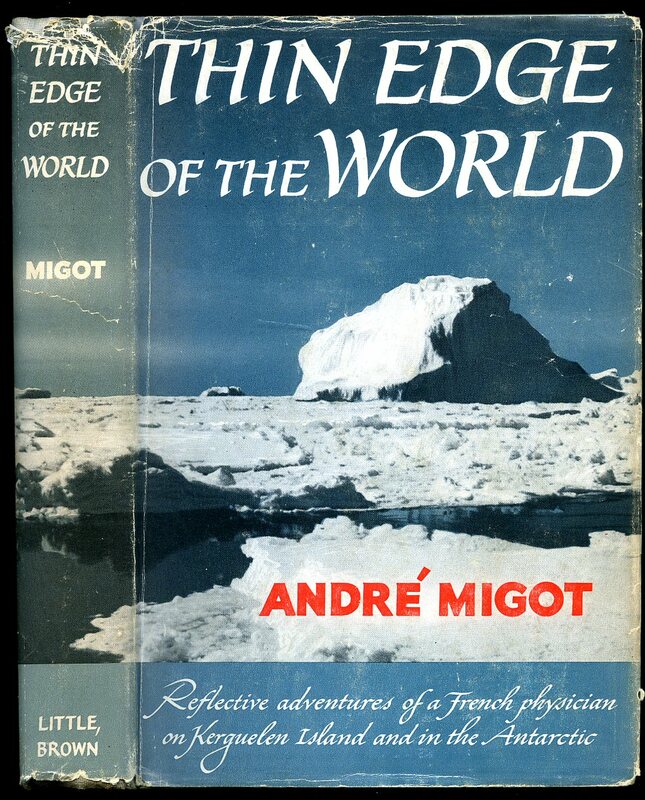 Published by Little, Brown and Company Boston First Edition 1956. Boston 1956. First edition hard back binding in publisher's original stone grey cloth covers, scarlet title and author lettering to the spine. 8vo. 9'' x 6''. Contains [xvi] 242 printed pages of text. Without any ownership markings. Near Fine condition book, in Very Good condition price clipped dust wrapper with small chips to the corners of the spine tips, paper clean and crisp, spine not faded. Dust wrapper supplied in archive acetate film protection, this protects and prolongs the life of the paper, it is not adhered to the book or to the dust wrapper. Member of the P.B.F.A. Published by Lutterworth Press, London and Redhill First Edition 1955. 1955. First edition hard back binding in publisher's original blue cloth covers, gilt lettering to the spine. 8vo 9'' x 6'' 194 pp. Monochrome illustrations throughout. In Very Good clean condition, spine not faded, no dust wrapper. Member of the P.B.F.A. 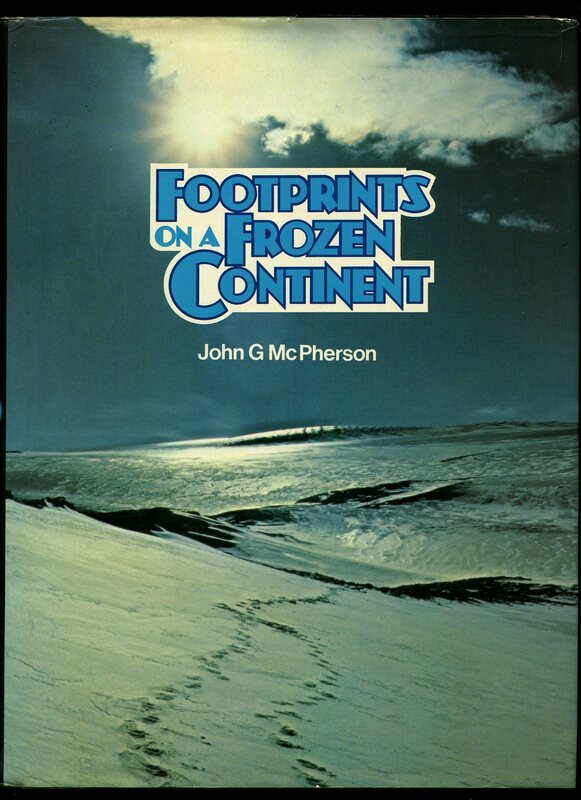 Published by Cambridge at the University Press First Edition 1965. Cambridge 1965. First edition hard back binding in publisher's original grey cloth covers, gilt and blue title block lettering to the spine. 8vo 9½'' x 6¼'' xii, 224 [pp]. Monochrome illustrations throughout, fold-out map to the rear. Light foxing to the page edges. Very Good condition book, in Very Good condition price clipped dust wrapper with shallow rubs along the top edge and spine tips. Dust wrapper supplied in archive acetate film protection, this is not adhered to the book or to the dust wrapper and can easily be removed should you so wish. Member of the P.B.F.A. 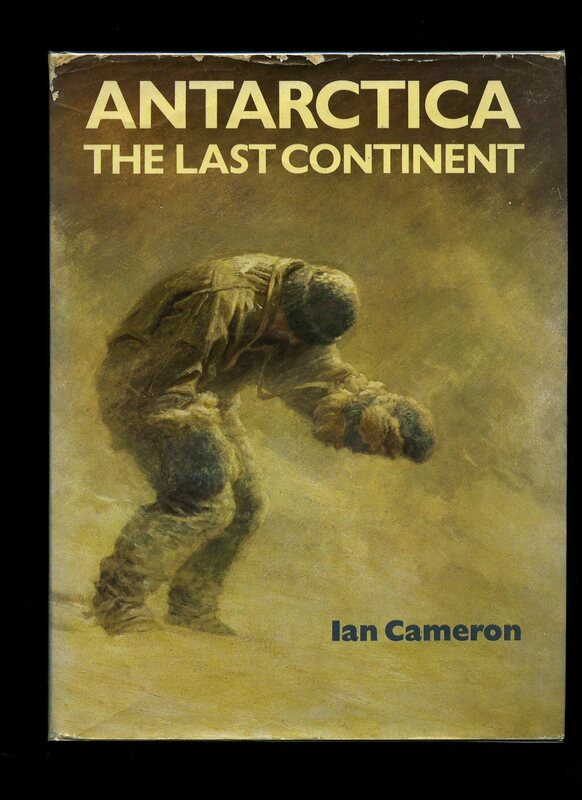 Published by Almark Publishing Co. Ltd., London First Edition 1973. London 1973. First edition hard back binding in publisher's original navy cloth covers, gilt lettering to the spine. 8vo 9'' x 6'' 167 pp ISBN 0855241462. Colour and monochrome illustrations throughout. Ex-library with usual stamps. Very Good condition book, in Fine condition dust wrapper, not price clipped. Dust wrapper without any tears or chips whatsoever and supplied in archive acetate film protection, this protects and prolongs the life of the paper, it is not adhered to the book or to the dust wrapper and can easily be removed should you so wish. Member of the P.B.F.A. 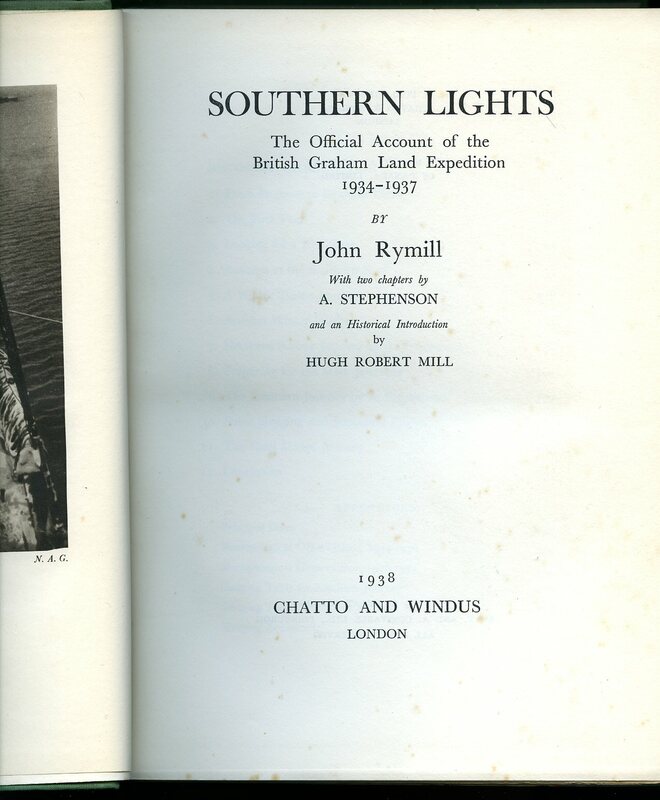 Published by Chatto & Windus Ltd, 42 William IV Street, London First Edition 1938. London 1938. First edition hard back binding in publisher's original apple green cloth covers, gilt lettering to the spine, lower page edges untrimmed. Quarto 10'' x 8'' xvi, 296 [pp]. Three fold-out colour maps, sepia photographic illustrations throughout. Free front end paper has been clipped vertically from corner to corner, light foxing to the closed page edges and front end papers, spine very slightly age darkened, binding firm, sound and square and in Very Good condition, no dust wrapper. Member of the P.B.F.A. Published by Longmans, Green and Co. Ltd., 39 Paternoster Row, London New Impression 1938. London 1938. Hard back bound in publisher's original turquoise cloth covers, gilt title and author to the spine, end papers maps. 8vo 8¾'' x 6'' [xii] 308 printed pages of text with sixteen two-tone photographic illustrations on semi-glossy paper. Light foxing to the end papers, repaired tear to the lower spine edge, no dust wrapper. Member of the P.B.F.A. 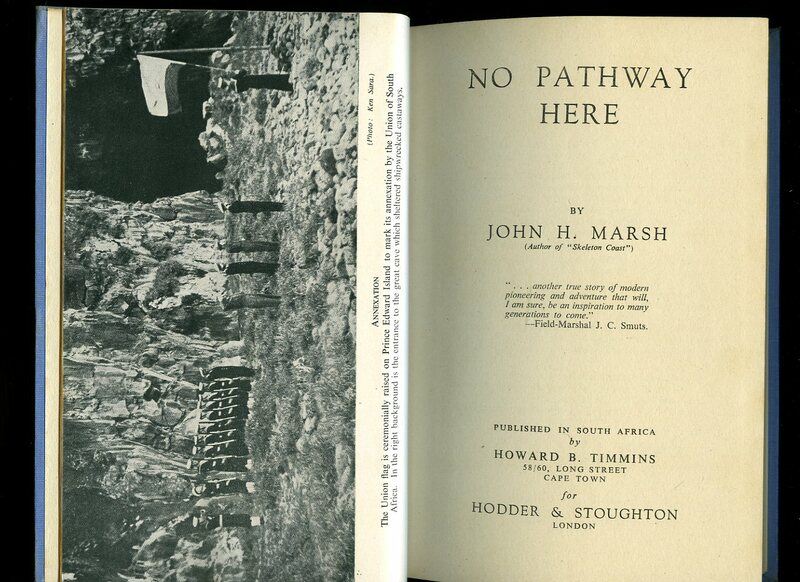 Published by Howard B. Timmins, Long Street, Cape Town First Edition 1948. Cape Town 1948. First edition hard back binding in publisher's original blue cloth covers, black title and author lettering to the spine, end paper maps. 8vo. 9'' x 6''. Contains [vi] 200 printed pages of text with monochrome illustrations throughout. Spine slightly faded, without any ownership markings and in Very Good condition, no dust wrapper. Member of the P.B.F.A.